Have a craving for loaded eggs, but short on time? 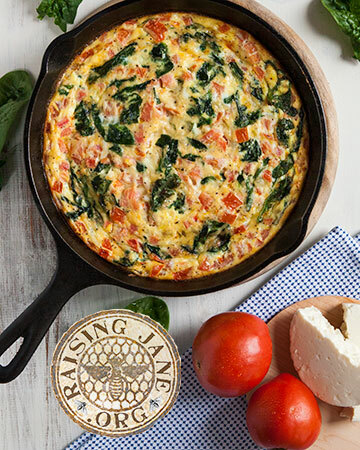 This frittata is a snap to put together, and the best part is that it’s baked, so it’s as simple as sautéing some onions, whipping up some eggs, and tossing the skillet in the oven. Twenty minutes later, you have a skillet full of oh-so-flavorful eggs to start your morning on the right foot.